The perfect way to bring a refined touch to your bedroom, this fitted sheet is soft and warm, while the sumptuous satin stripes are luxurious against your skin. 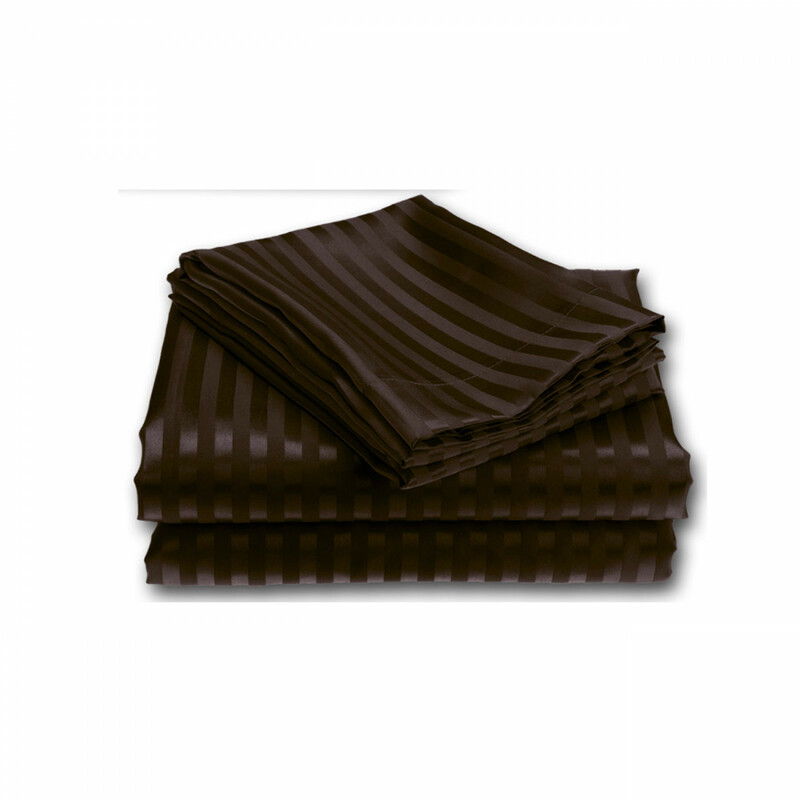 Made from 100% polyester, it is highly durable, easy to care for and machine washable. Its 20cm depth envelops your mattress completely, letting you have a serene sleep. Get this quality product in Single (90cm x 190cm), Double (135cm x 190cm), King (150cm x 200cm) and superking (180cm x 200cm) sizes.